John Flood's Random Academic Thoughts (RATs): What Is Going on with the Legal Profession? What Is Going on with the Legal Profession? The legal profession of the 21st century has been described as having encountered its own Cambrian explosion. Rather than extinction the legal profession is facing rapid change as the result of increasing use of technology, globalisation, the deregulation of legal services markets. Australia and the UK were early adopters of alternate structures for the provision of legal services, which in the case of the UK is placing small legal practices under immense pressure as, for example, online providers (e.g. LegalZoom and DivorceOnline) enter the market using loss leader pricing to capture business. Some refer to this as the Uberisation of the legal practice. Outsourcing of legal work to “cheaper” markets such as India and South Africa has reinforced the trends working through globalisation. Millions of dollars are being invested in new legal enterprises such as ROSS Intelligence based on IBM Watson, and Ravn, which use big data to research and answer legal questions and predict outcomes of cases. I don't think there's anything particularly startling in that paragraph although the reader in my law school was shocked. All one has to do is read Jordan Furlong, George Beaton et al to see where the profession and legal services are heading. But I wonder. The counterfactuals won't go away, so how right is New Law? Dealbook reported in the New York Times that law firm revenues rose by 4.1% for 2016 H1 compared to 3.3% for H1 of 2015. Law firms have experienced growth, albeit in single digits, for the last four out of five years. There are no signs of it slowing down. Those doing bankruptcy and litigation are thriving while transaction lawyers are faring less well owing to the stupidity of Brexit (sighs in exasperation at those idiots). Yet we've seen Big Law doing well on M&A work. Cravath raised starting salaries to $180,000. Hourly billing hasn't been abandoned. London law firms have been reporting big rises in lawyers' earnings (as PEP). So, I'm confused by the conflicting signals. Maybe it's not a Cambrian Explosion. But there are explanations. The New York Times is talking about big law firms whereas we know smaller firms are feeling the heat from alternate suppliers, especially online providers. Big Law is relatively secure because there are no realistic alternate suppliers for what they do. 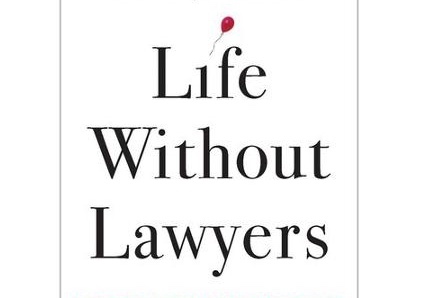 Axiom and Lawyers on Demand pick low hanging fruit, the work that is easily standardised, not the big jobs like M&A. The Big 4 accounting firms are credible threats but how different are they from law firms? Perhaps we need a big London law firm to convert to an ABS and redesign itself and see if that sets change in motion. I recall that it was the merger of Coward Chance and Clifford Turner, in the late 1980s following Big Bang, that led to a rush of law firm mergers all over the world. I don't know how close we are to that yet. Thanks for sharing but, even in your few words, I think you imbue lawyers and those running law firms with a level of understanding that doesn't bear scrutiny. They're not all tarred with the same broad brush but by and large too many of them are ignoring the threats and taking advantage of the opportunities, not because they think they'll abate but largely as a result of being stuck. Yes, that's it. They're stuck by the extent of their thinking -- "I'm not an entrepreneur" (Duh, we're all entrepreneurs -- see the work of Tom Peters in his book Little Big Things). I'll leave it at that but when and if the profession wakes up I sense that they may be too late to join the innovation/revolution party. Thanks, Julian, for this. 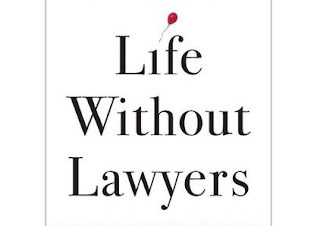 We may not be that far apart as I tend to think lawyers are coasting on the luck of being in a traditional industry that they are loath to change. I find that change within law/legal services can take a generation to work its way through. And as long as partnerships remain the dominant organisational structure, this will persist, since partnerships are arranged effectively as a series of escalating age cohorts--very tribal. For many it will be too late, you're right there.